← PrevShould You Play Left-Handed or Right-Handed? Research on the benefits of learning music tends to focus on those that can be documented. But musicians and teachers have seen first-hand many advantages of learning music that are not so easily measured. More than almost any other effort, music teaches you the importance of discipline. As years pass, it becomes rarer to be struck by the thunderbolt of inspiration in the practice room. That means having the discipline to set aside time for practice every day, and stick to it—no matter how you happen to feel about it when the time comes. Although this may sound a bit depressing if you’re just starting to learn, it is actually very empowering to realize that there is no obstacle before you that can withstand years of persistent effort. And since very few great deeds are accomplished in a short time, learners who discover this attitude are much more likely to succeed in all areas of life. Through injury and illness, overwork or unemployment, stress or grief, taking the time to return to one’s music practice sends a strong signal up and down your spine: you are a person who honors commitments. These things can shake you, but they won’t defeat you. Maybe that’s why the musicians in Titanic continued to play in defiance of a sinking ship. There is a link between the practice of music and the reduction of stress, meaning music learners may have improved resilience in the face of adversity. There is further evidence that listening to music can help lower blood pressure. Stress is a terrible force that can affect anybody at any time. It destroys careers and families, and shortens lifespans. Some people are fortunate to have a “stress vaccine”, and many don’t even realize that their music practice, walks in the park, favorite pet, or time with family are providing them protection from the effects of stress. Music might end up being yours. One of the benefits of learning music that has the most support is that of improving the functioning of the brain. For young learners, there is a link between studying music and improved learning,  with possible mental benefits for those in retirement age as well. Other areas of study are focused on a possible link between music study and higher IQ and stronger memory. Although the benefits vary by age group and cumulated experience, it seems reasonable to conclude that the study of music has the power to transform people’s minds. The fact that middle aged adults can so readily pick up a new instrument and learn to play provides a clear example of neuro-plasticity, the notion that the living brain is capable of changing, evolving and acquiring new abilities in all stages of life. Gary Marcus, a professor in his 40’s, wrote an interesting account of his journey in the book Error. Link not found.. Taking lessons or studying music yourself will, with time, give you plenty of reason to believe that there are many possible benefits of studying music that are not yet fully understood. If you speak with people who have been practicing music for 10 years or more, you will hear many personal stories from musicians about the transformative effect that music has had on their mind, body, and life in general. 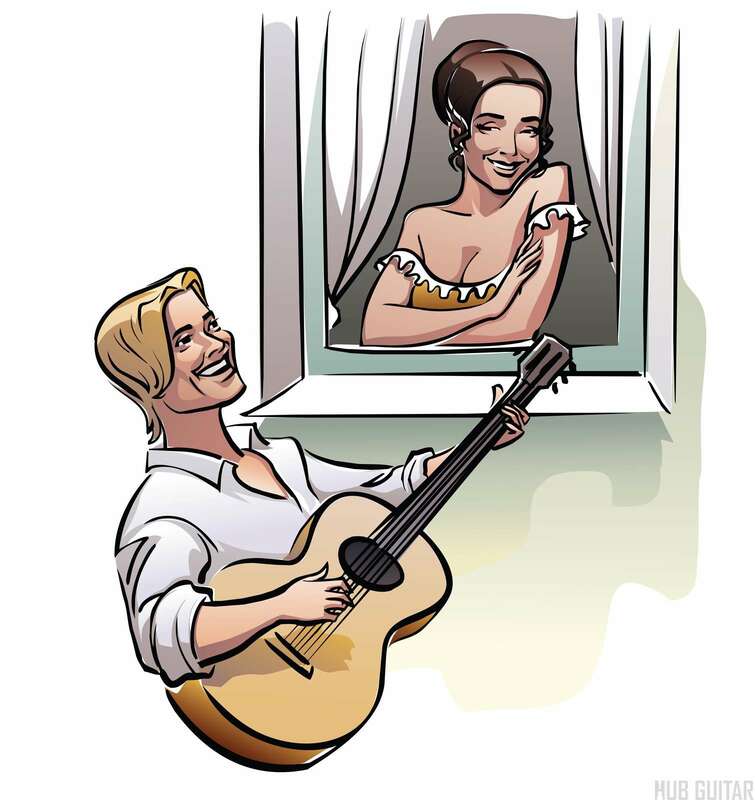 There are many possible benefits of learning the guitar, ranging from the anecdotal to those backed by research. You may discover your own reasons with the passage of time. You should know that it’s never too late to learn an instrument, and that learning music may have extraordinary benefits. If you haven’t yet committed to studying music for life, maybe now’s the time to take that step.